"I've been following your blog for quite some time. Amazing talent!! 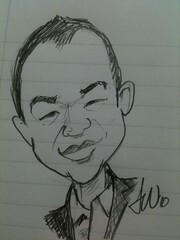 Here's my contribution to your caricature collection... Enjoy!